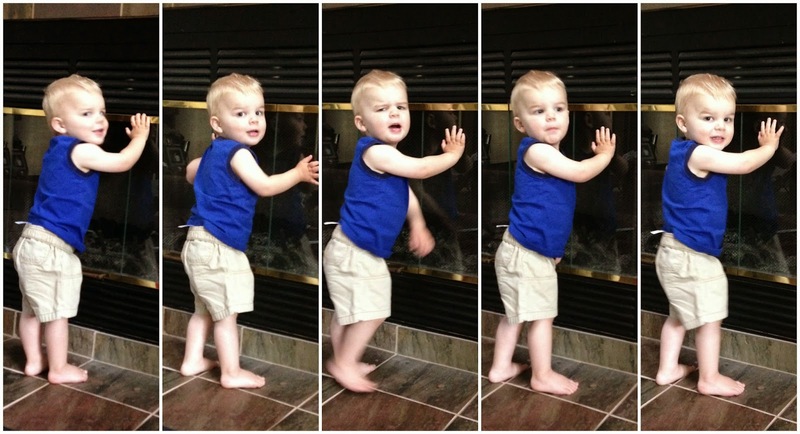 The other day, I snapped five photos of Brantley for my first day of summer comparison picture. Despite the photos being taken within a span of thirty seconds, he changed his expression for each shot, and I think the expressions perfectly describe the personality of this almost 2-year old: ornery, proud, independent, short-tempered, inquisitive, and sweet. Later that day, we were at the park. 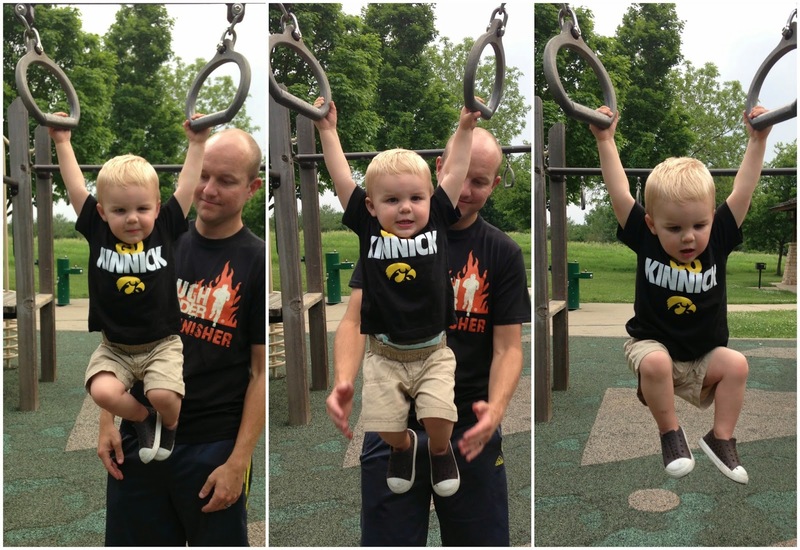 He saw Daddy hanging on the monkey bars (actually rings) and demanded to do the same. This kid has no fear and got mad when Daddy got anywhere near touching him. Again, his expressions should just how proud he was and I think they're darn near adorable.